Purpose:CCS, in harmony, with its mission, vision, philosophy, and core values offers academic classes to accommodate homeschool students and encourage them to become CCS students. Availability: First priority for class or team space is given to CCS students. Core academic classes are available to homeschool students as space permits. Application and registration fees will be refunded if space is not available in classes. Homeschool students are not permitted to be on campus during lunch unless they are attending academic classes before and after the lunch period. Student Standards:All homeschool students are to be held to the same standards as CCS students as outlined in the CCS Parent Student Handbook, including, but not limited to, behavior, attendance, and grades. Approved CCS uniforms are required when home school students are on campus. An homeschool student and parents are required to attend all orientation days. Enrollment:Full application is due along with tuition and athletic fees if applicable a minimum of two weeks prior to the start of classes or athletic practice. There is no financial assistance. For application, go to Admissions/Apply Now. Class Limit:CCS allows three classes of credit per semester per student under the homeschool partnership. Chapel:Chapel attendance is required for high school homeschool students who are enrolled in academic classes in 4thand 5thperiods. Middle school students do not attend middle school chapel or middle school small groups. Summer Assignments:Middle school and high school students desiring to register for any class with a summer assignment must complete that assignment prior to the first day of class. Transcripts and School Documents:CCS Homeschool Partnership will compile grades for CCS classes on a transcript form to be used for school transfers or college entrance purposes. 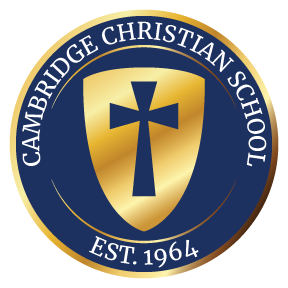 “Cambridge Christian School Home School Partnership” along with the student’s name will be printed on the transcript. Only classes taken at CCS will be denoted on this record. CCS is not an umbrella school. Parents are responsible for maintaining a homeschool transcript with a complete academic record of their child including community service hours, attendance, and report cards. CCS does not issue a diploma to homeschool students. Students are required to register through their county’s district homeschool department. 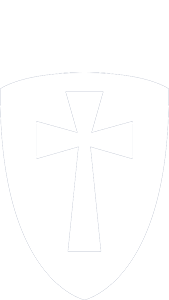 The Homeschool Partnership provides academic services. Homeschool students are not eligible to participate in any co-curricular activity with the exception of athletics. Below is a list of middle school classes currently offered for homeschool registration on a spaceavailable basis. All courses listed here are offered as a year-long (2 semesters) program. Below is a list of high school classes currently offered for homeschool registration on a space available basis. All courses listed here are offered as a year-long (2 semesters) program unless otherwise noted. All course requests will be reviewed by the Guidance Counselor, and placement recommendations are subject to completion of course specific prerequisites.